Extending its gaining streak, shares of the pharma company surged as much as 17.58 per cent and touched 52-week high of Rs 694.20 apiece on BSE. Shares of SMS Lifesciences India, maker of active pharmaceutical ingredients, rallied over 41 per cent in the last two trading session on the Bombay Stock Exchange in an otherwise range-bound market. Extending its gaining streak, shares of the pharma company surged as much as 17.58 per cent and touched 52-week high of Rs 694.20 apiece, after opening higher at Rs 610.10 compared to the previous close of 590.40 on the BSE. Holding early gains, shares were currently trading at Rs 691 apiece, up 17.04 per cent. In a similar trend, stocks of the firm were trading at Rs 691.90, up 18.94 per cent, on the National Stock Exchange. According to data available with exchange, as much as 69,000 shares have changed hand over the counter as compared to two-week average of 1,013 shares. The company's stocks have witnessed surge in buying after it reported strong earnings in the September quarter. For the September quarter, SMS Lifesciences had reported over four-fold jump in its net profit at Rs 4.41 crore compared to Rs 1.01 crore posted in the same quarter last year. Total revenue of the company jumped 73 per cent year-on-year to Rs 89.96 crore. Earlier this year, the company had successfully completed US Food and Drug Administration (FDA) audit of Unit 1, Khazipally, Telangana. Last year, Hyderabad-based company had acquired Mahi Drugs Pvt. Ltd, which manufactures APIs as well, for an undisclosed amount. 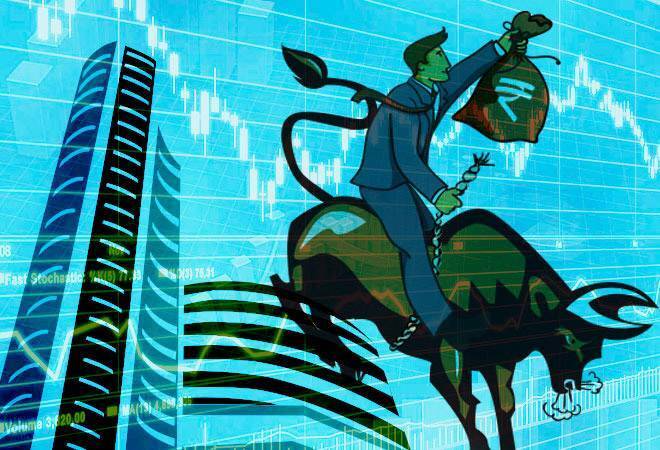 Meanwhile, the benchmark index BSE Sensex was trading lower at 35,489.93, down 401.59 points, or by 1.12 per cent, on Thusday.